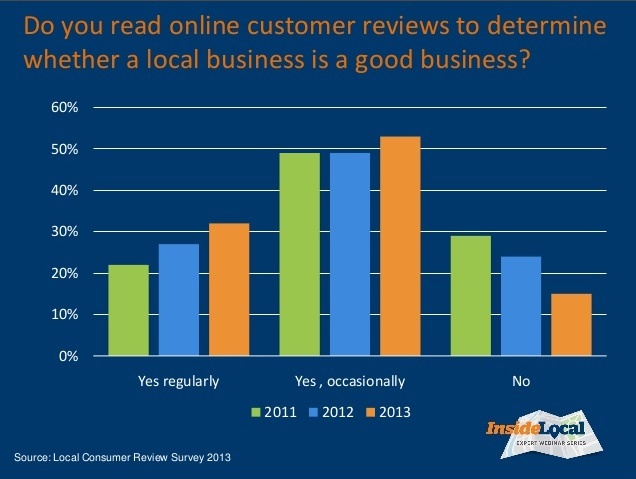 HomeLocal Search MarketingDo Online Reviews Matter ? Online Reviews Are More Influential Than Ever Before ! According to a “Local Consumer Review Survey” conducted by BrightLocal in 2013, reviews are becoming more influential then ever before. While their ranking significance is less then it was 3 years ago, it’s still a strong factor. 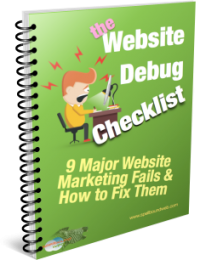 Some marketers believe it to be the 5th most important thing for a business to rank well locally. 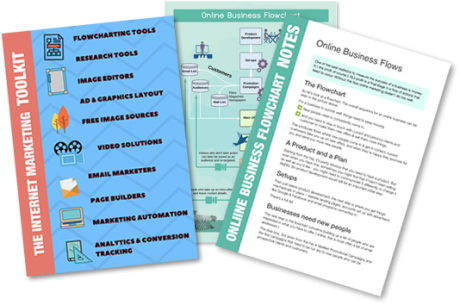 As people are searching for businesses on their desktops and smart phones, more than ever before their trust in what they see online has increased. Consumers who are now more familiar with these mediums feel they can spot dodgy and fake reviews and are savvy enough to know what to trust online. With this in mind it’s easy to see why reviews are a direct influence on consumers and are considered a close 2nd to good word of mouth. According to the above survey 85% of consumers read online reviews to determine if a business is good, and 79% of consumers trust online reviews as much as personal recommendations. Reviews help a business stand out from the crowd in search results. Once a business has a significant number of Google reviews – at least 5 – they get a star rating that goes along with the listing in the Local search results. This catches the eye immediately and indicate quality in the same way as hotel ratings do. The new carousel style of displaying Local search results in Google ( not yet rolled out for Australia ) highlights review stars even more then the current style. 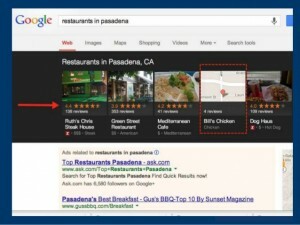 Google also refers and links to reviews from around the web and all reviews are important not just Google reviews. This is lucky, as Google don’t make it easy for consumers to review businesses or to have their reviews stick. For a Google review to stick it needs to go through the Google review filter and while it has a looser filter then some (Yelp for example) the reviewer needs to jump through a few hoops, like making a Google+ profile and being a regular reviewer. Each hoop a consumer needs to jump through … the less likely they are to complete the review. Business owners need not be overly worried about bad reviews if they deliver good service and products. Consumers know that businesses are not always perfect and that what suits one person doesn’t necessarily suit another. In fact according to the above survey consumers are wary of businesses that have only 5 start ratings, as this doesn’t appear real. Most review sites like Google and True Local allow the business owner to respond to reviews and also report or flag inappropriate ones. Yelp tends to favour bad reviews over good reviews in their listings and make it hard for business owners to get bad reviews removed – but the majority of review sites are not like this.